Buying a gift for your dad. Hmm. Where to start? Why are Dad's so hard to buy for? Father's Day is fast approaching, and if like me, you want to get your old man something extra special this year that isn't a novelty item or some weird gadget you've never heard of before, yet the promotions insist is the next big thing (they never are, are they...) then read on. For me, the best kind of gift for anyone is a gift which has a special meaning and a gift where some thought has been put into it. 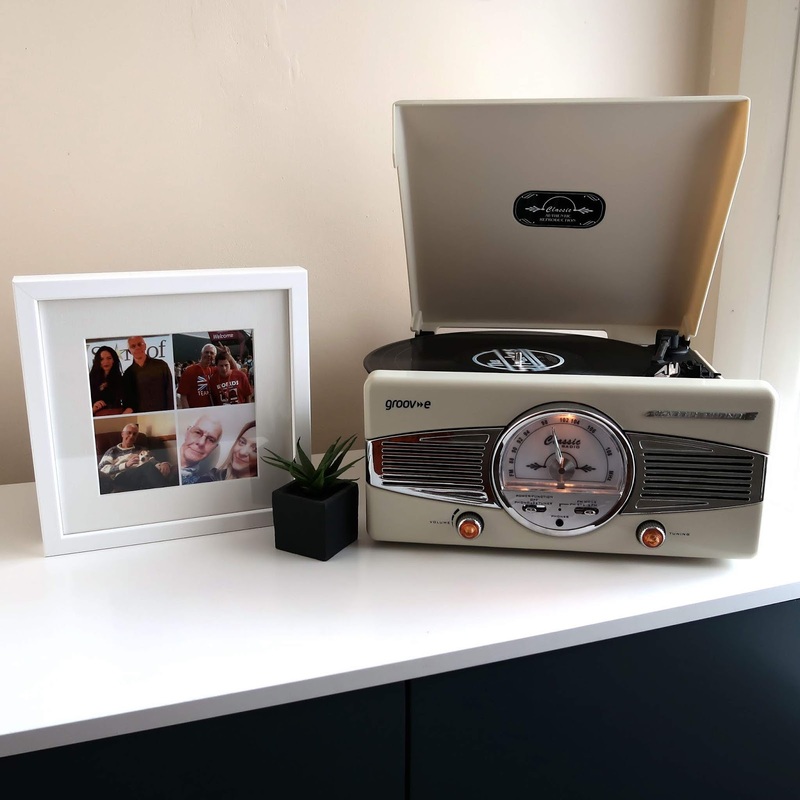 Personalised gifts will always be well received too because it shows you have put in some extra time and effort, and that is the main thing after all. I think you can never go wrong with gifting someone a special photograph. In a time where all of our photos are stored on a hard drive or in a facebook album, a photo in print, a memory in your hands, really is special. I have gone for a 4 picture collage from Cheerz full of photos of my Dad with each of his children (which obviously includes the dog!) I think he will absolutely love it. I opted for a collage because we can't have my siblings thinking that I am the favourite, which it would look like if suddenly on display pride of place in the home there is a new photo of me and him in a frame... so I included my brother and sister in it too. 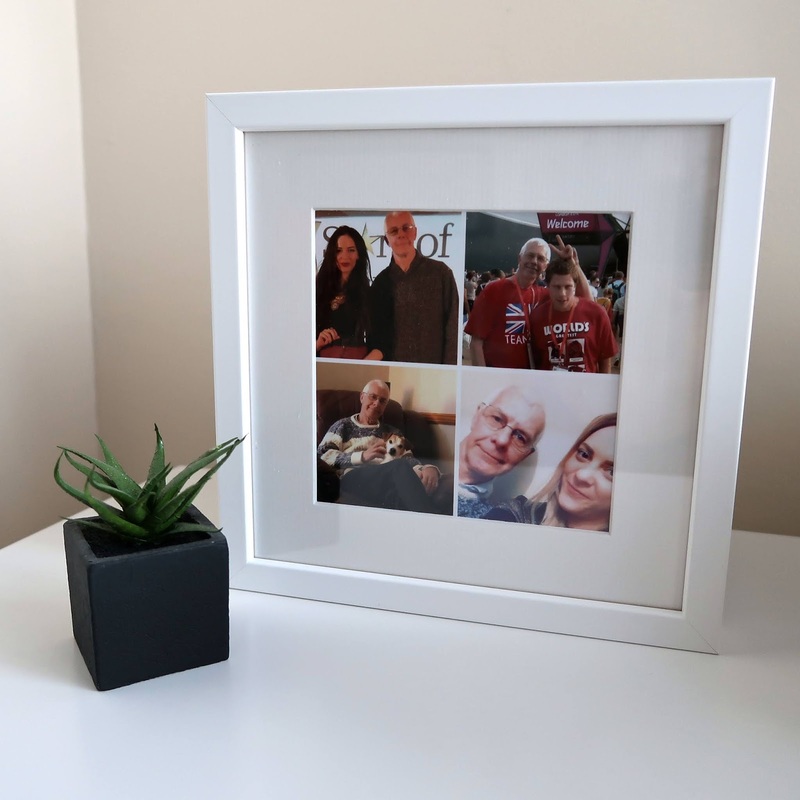 It's rare for my Dad to have his photo taken let alone have them out on display, so this will be a lovely gift that he will not expect, and it can be appreciated everyday! Much better than a novelty pen, right? If you want to gift your Dad something similar with Cheerz, order before the 11th to get it in time for Father's Day, or the 13th with Express delivery. What are you doing for your Dad this year?